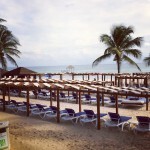 Amy, our co-owner, travels to Mexico for the Best of the Best Awards. She spent one night at Zoetry Paraiso De La Bonita at the beginning of her trip, this posts focuses on the spa and restaurants. Amy McHugh, Co-Owner of Dream Makers Vacation Services travels to Mexico for the Travel Impressions Best of the Best Awards. 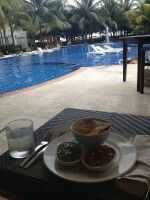 Amy started day 1 with the arrival to Zoetry Paraiso De La Bonita.